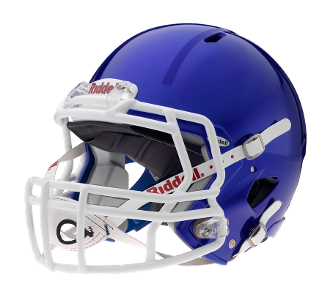 The Riddell Victor-i Youth Football Helmet with Facemask is a premier selection for youth players who value a high level of protection without breaking the bank! The Victor-i Youth Helmet utilizes the same shell design as the Revolution Speed giving you the same look as the superstars you see in the pros and college. The interior of the Victor-i helmet includes inflatable jaw pads that provide the ability to create a custom fit for maximum comfort, as well as a rear comfort liner which does the same! The utilization of Riddell’s Patented Impact Side Protection system minimizes the force of hits experienced by spreading it throughout the helmet. Its removable moisture resistant overliner is moisture wicking to keep your head dry and comfortable inside your helmet.